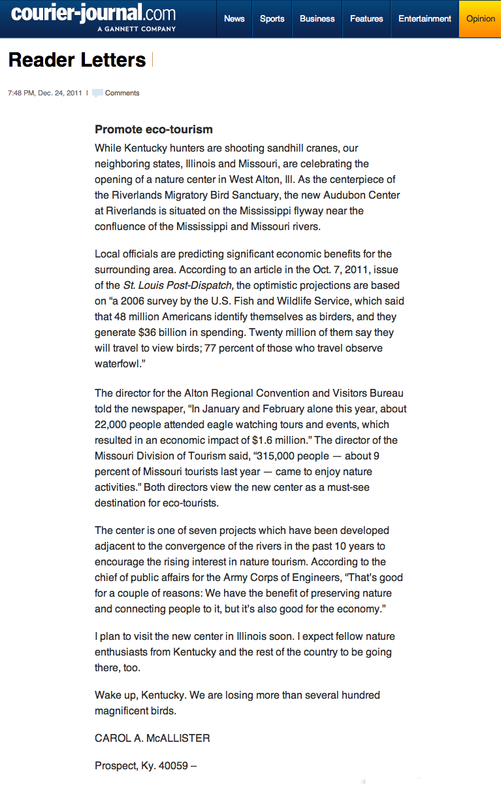 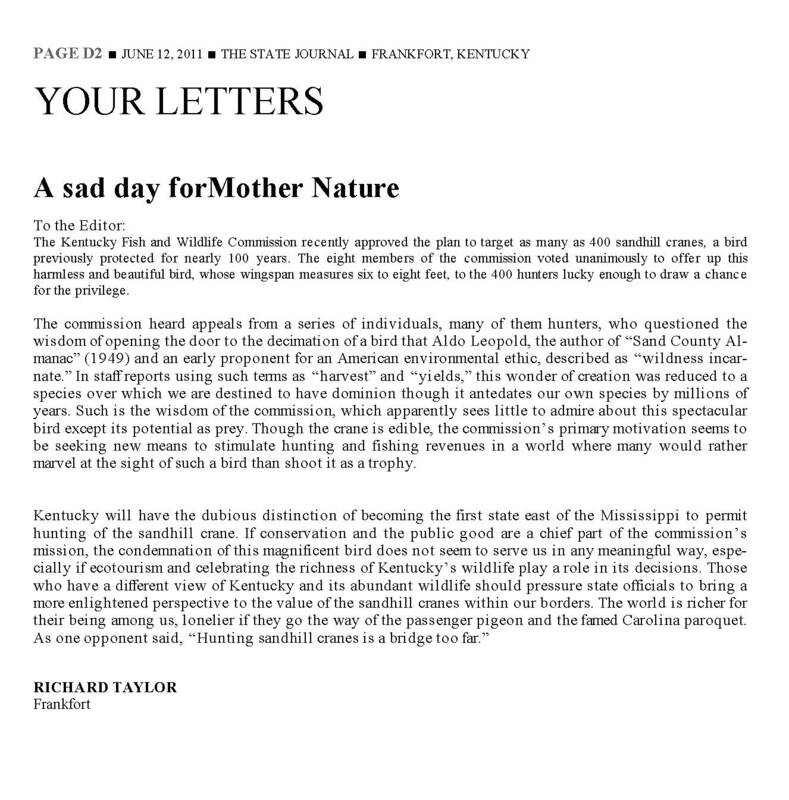 The letter from Stuart N. Ray, Third District KDFWR Commissioner, referenced in several letters to the editor can be read here. 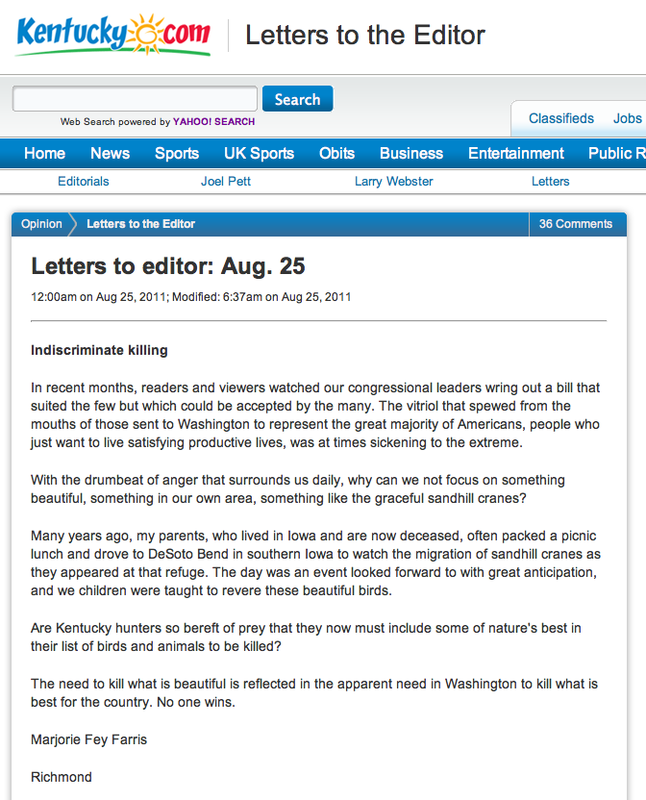 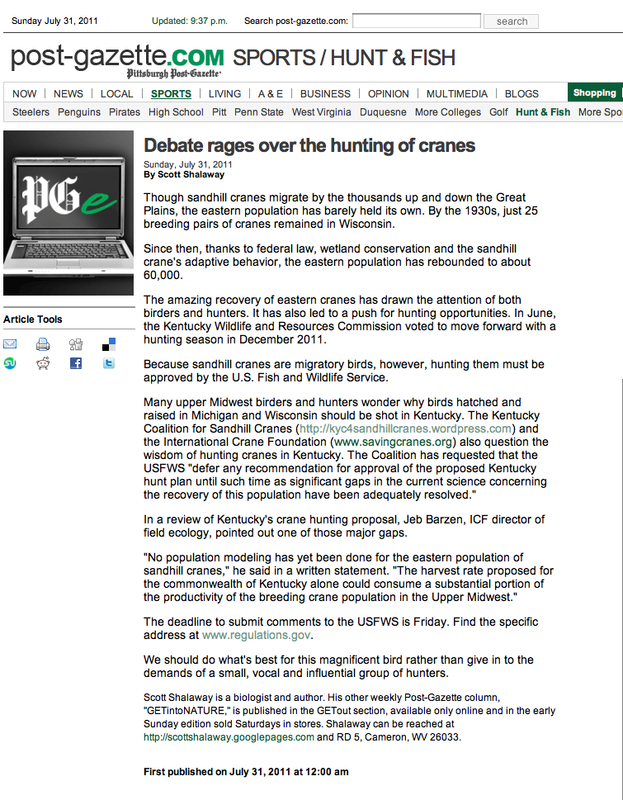 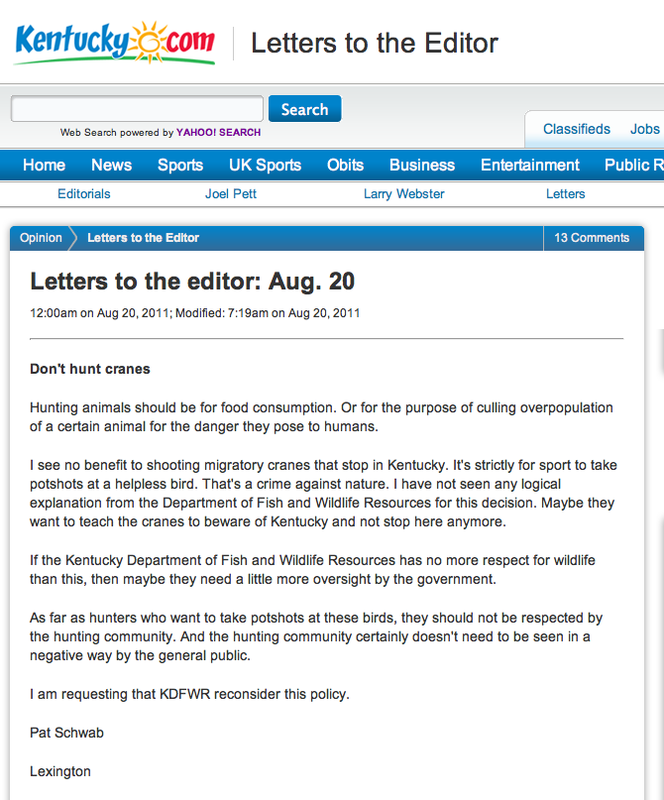 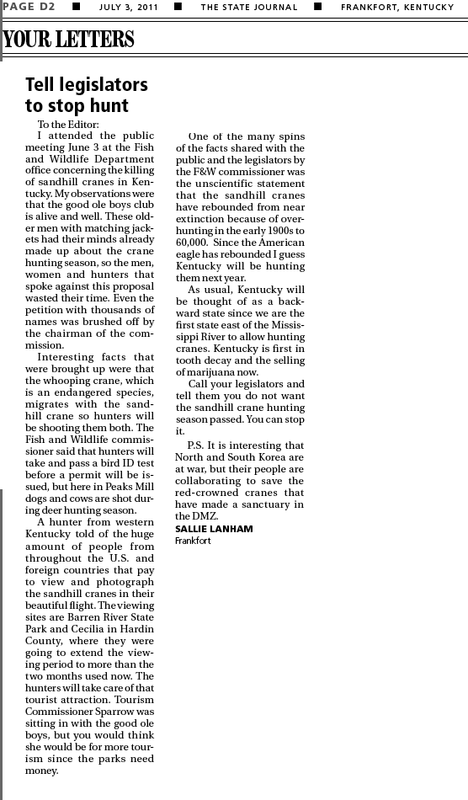 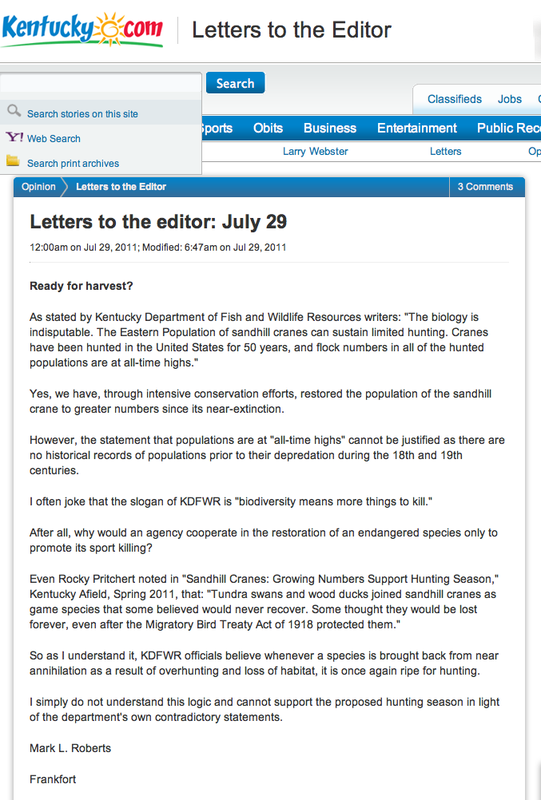 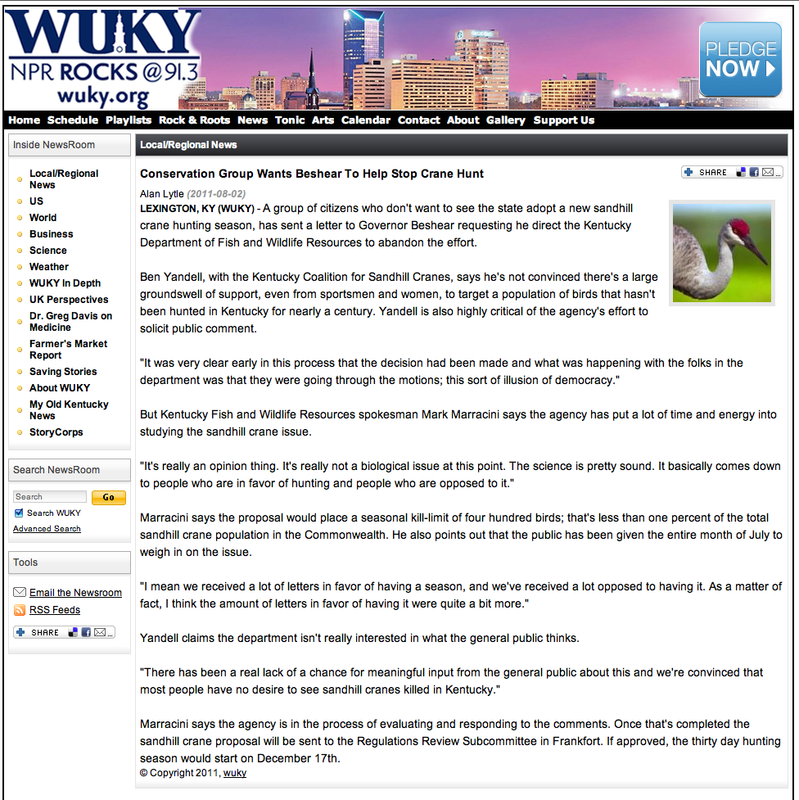 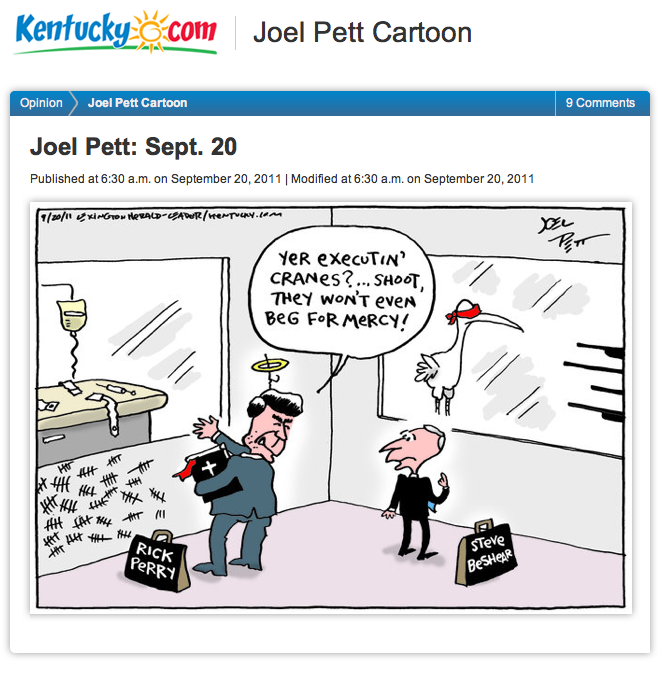 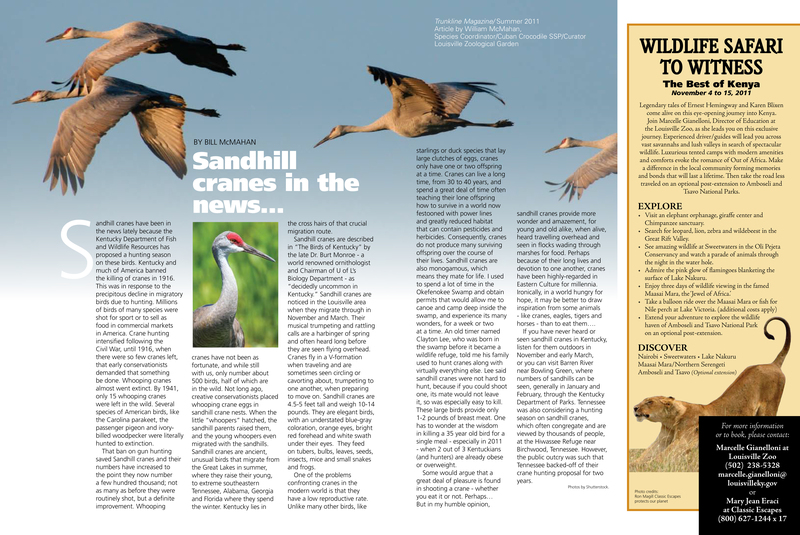 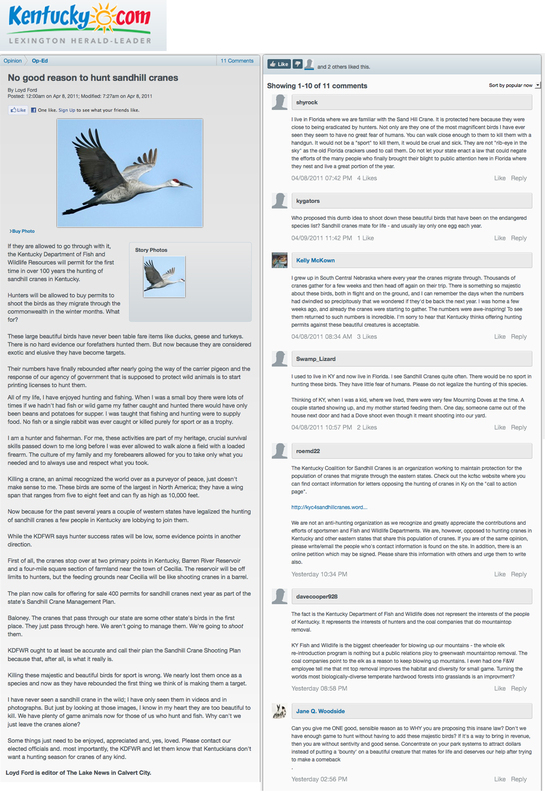 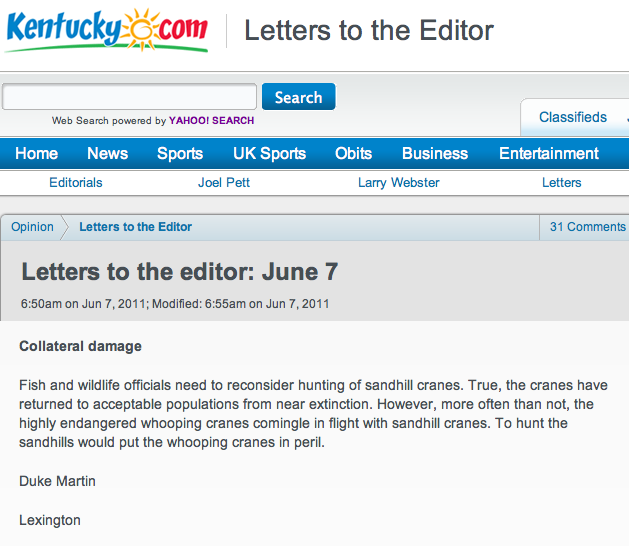 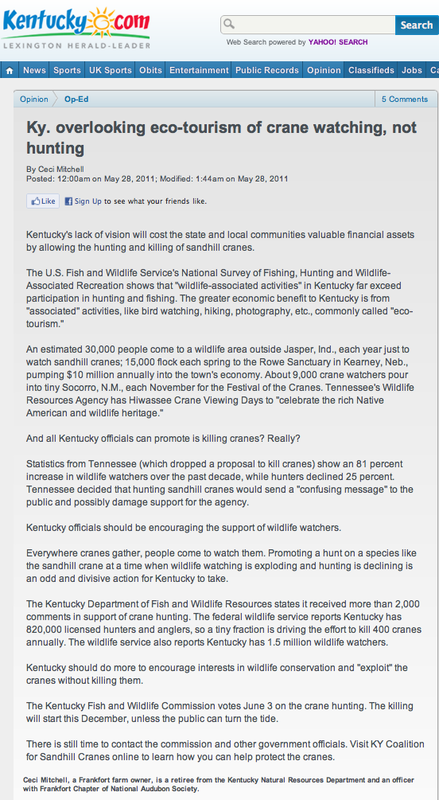 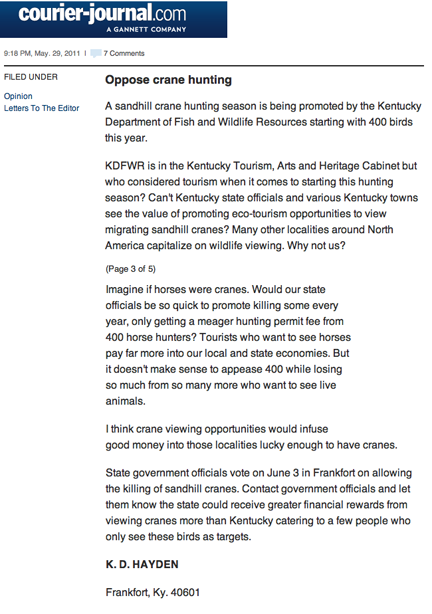 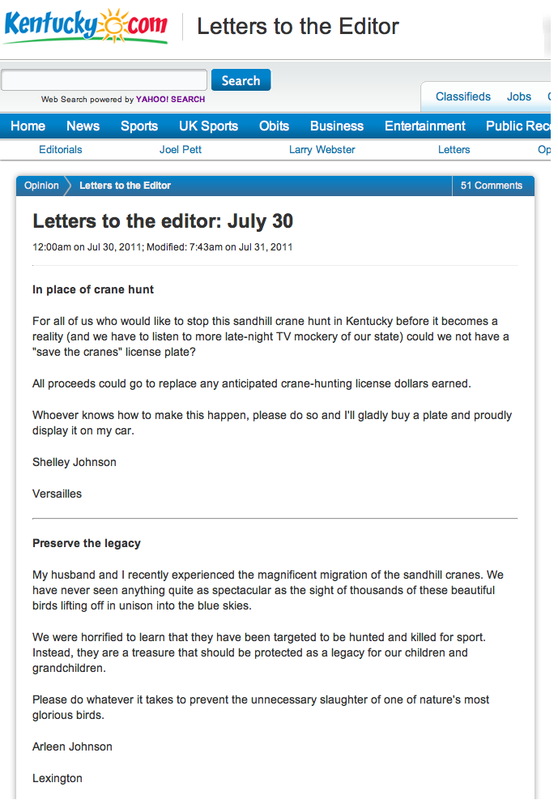 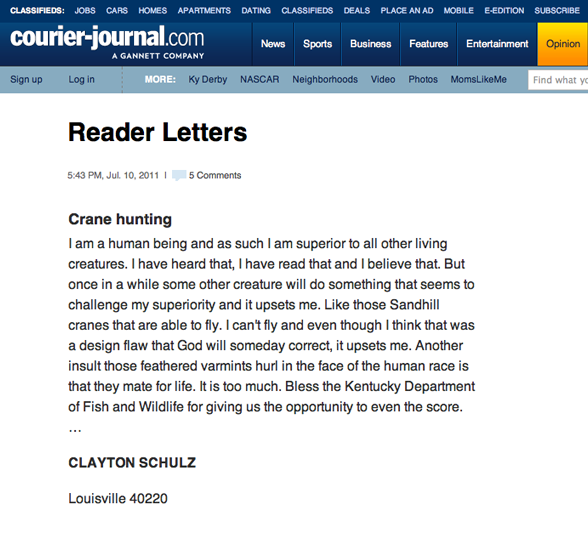 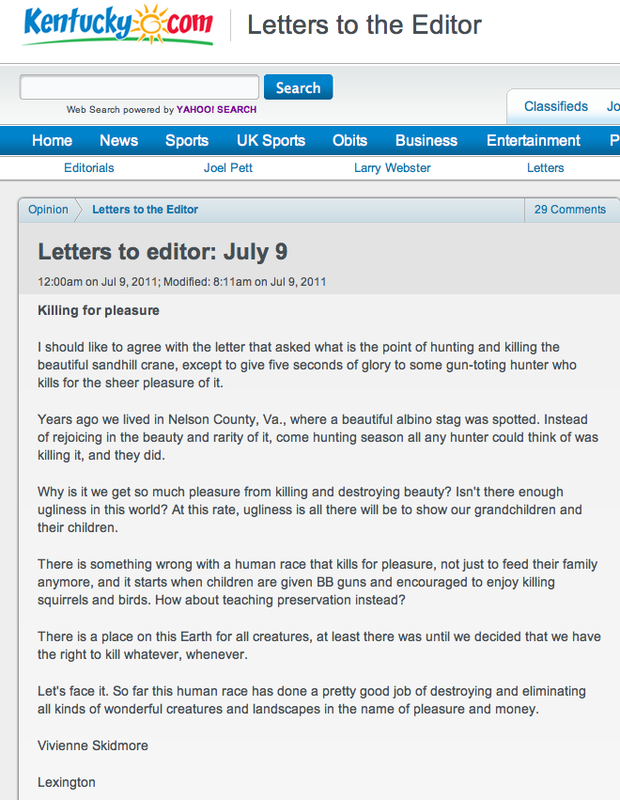 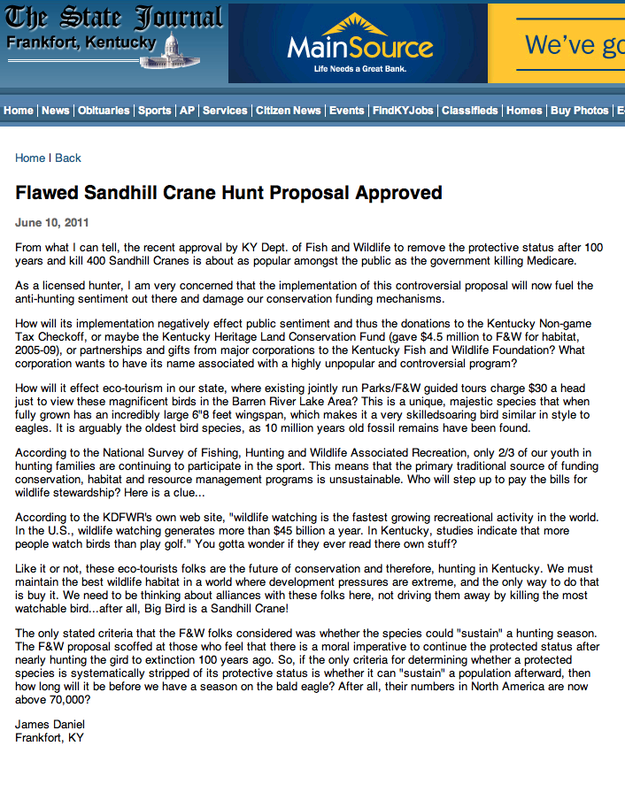 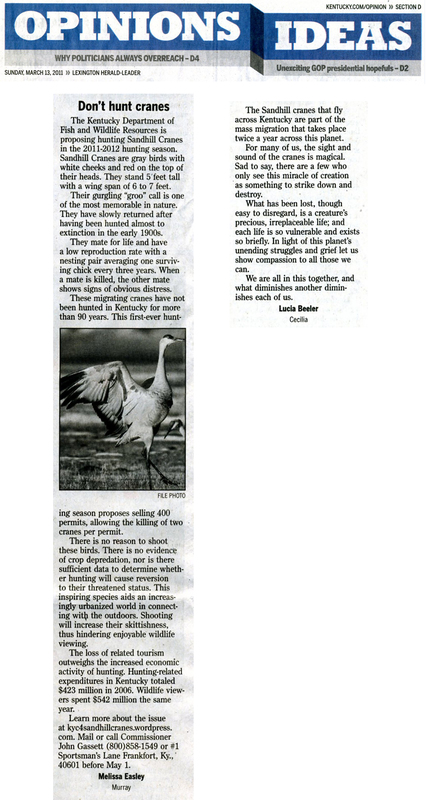 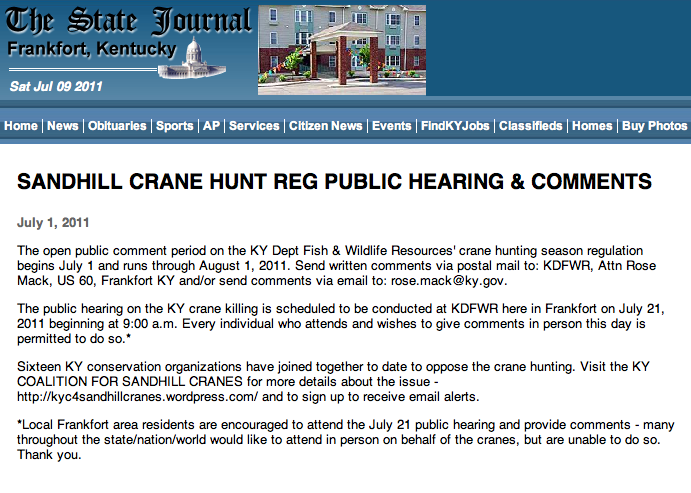 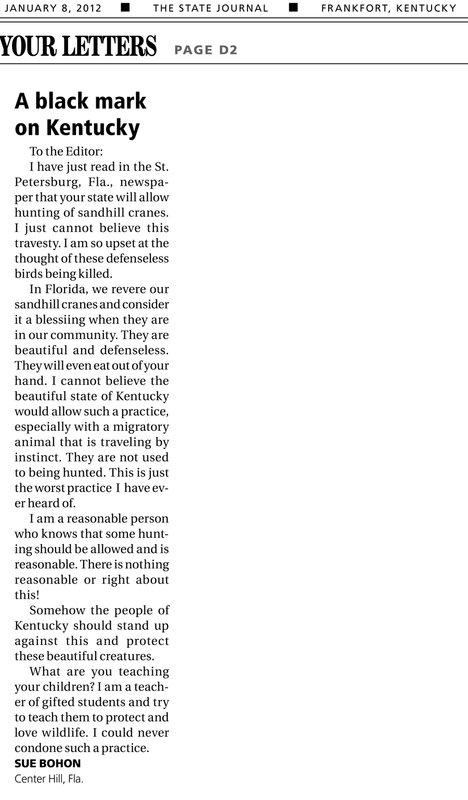 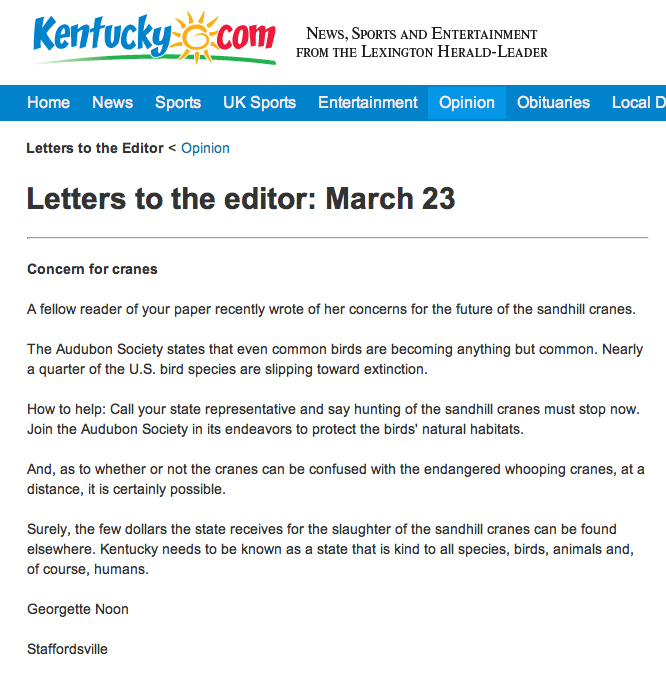 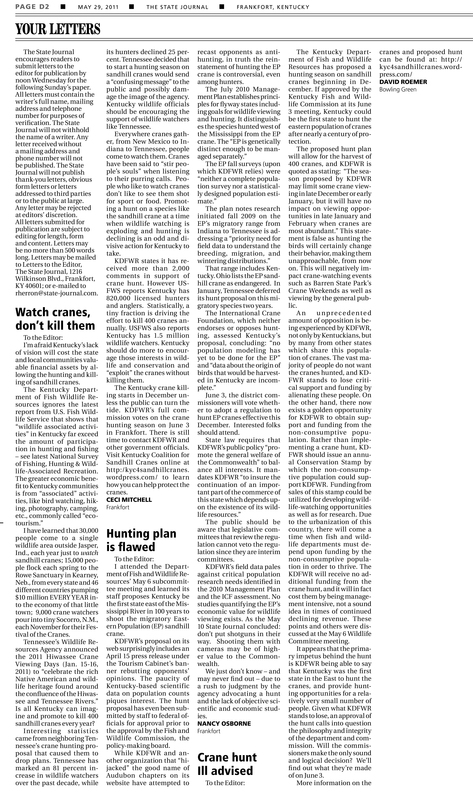 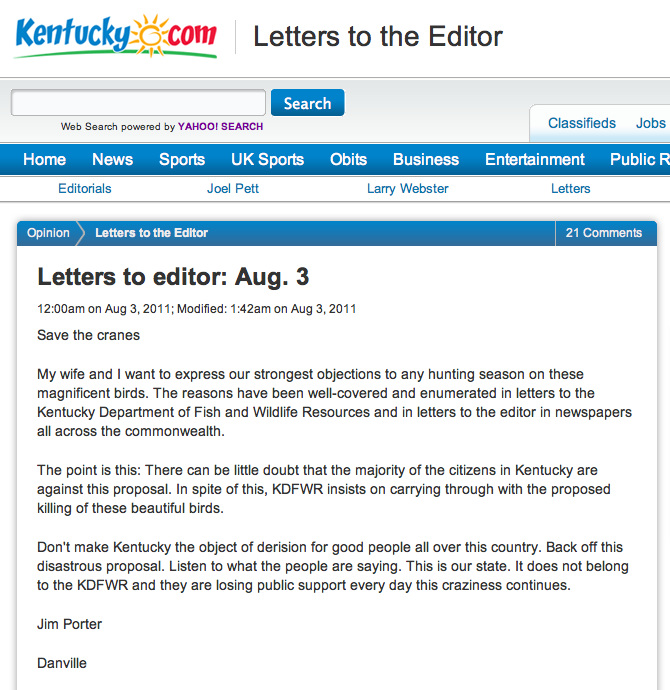 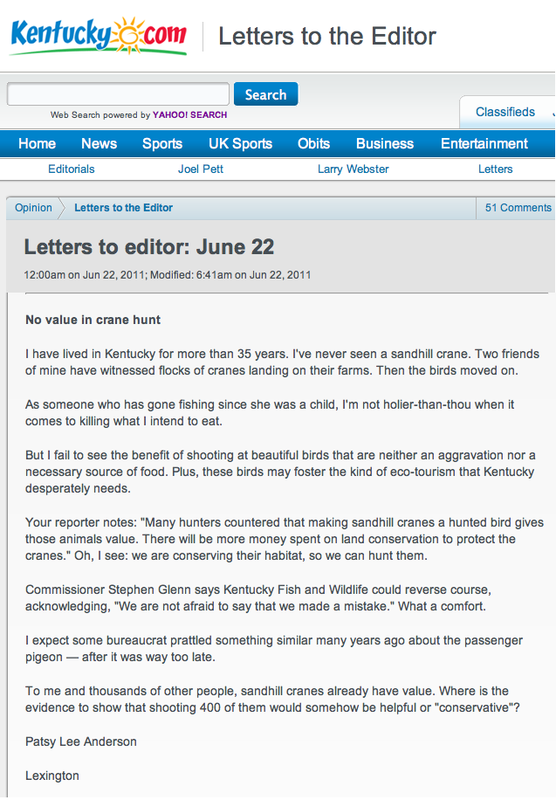 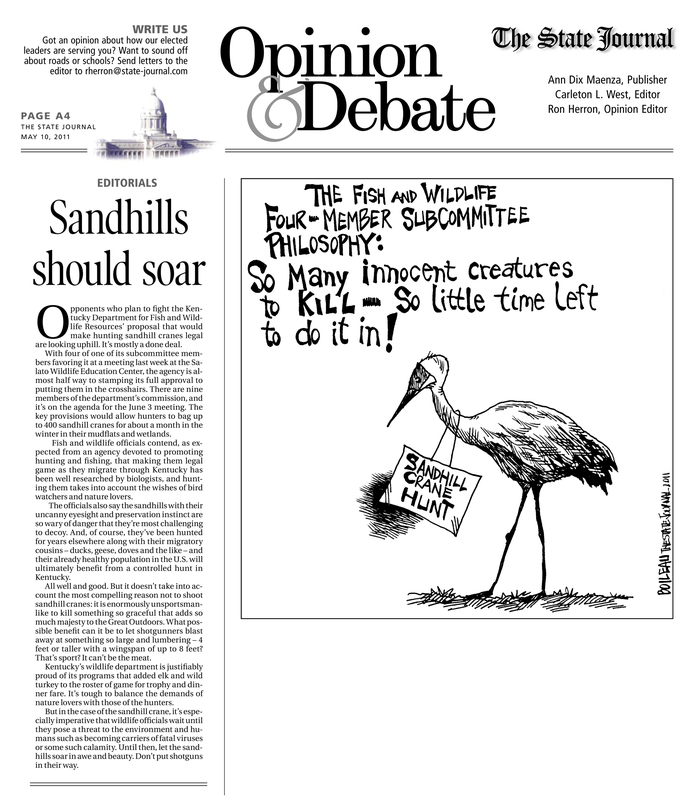 Read “Case for Hunting Sandhills” that appeared on the April 25, 2011 Lexington Herald Leader Kentucky.com and responses to the article. 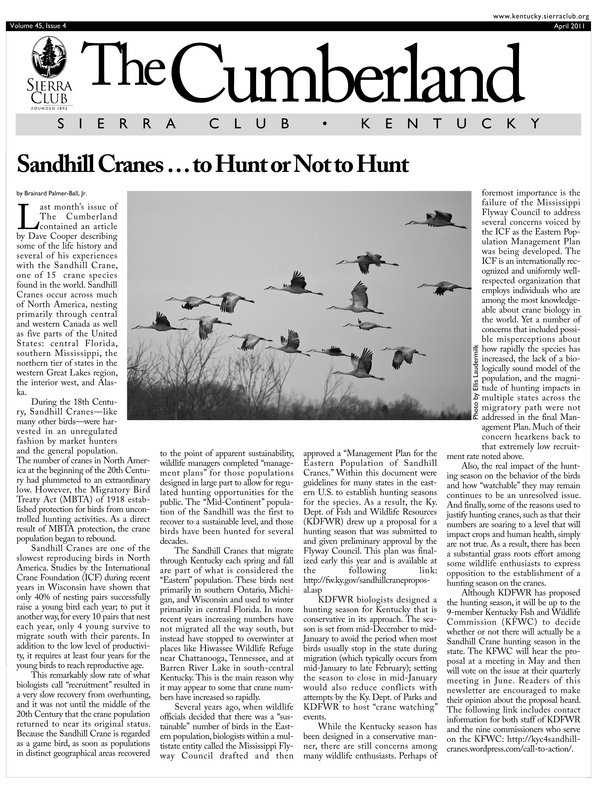 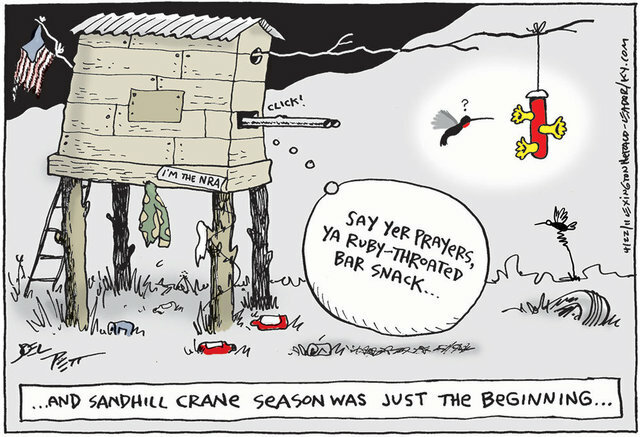 making it Legal to kill sandhill cranes. 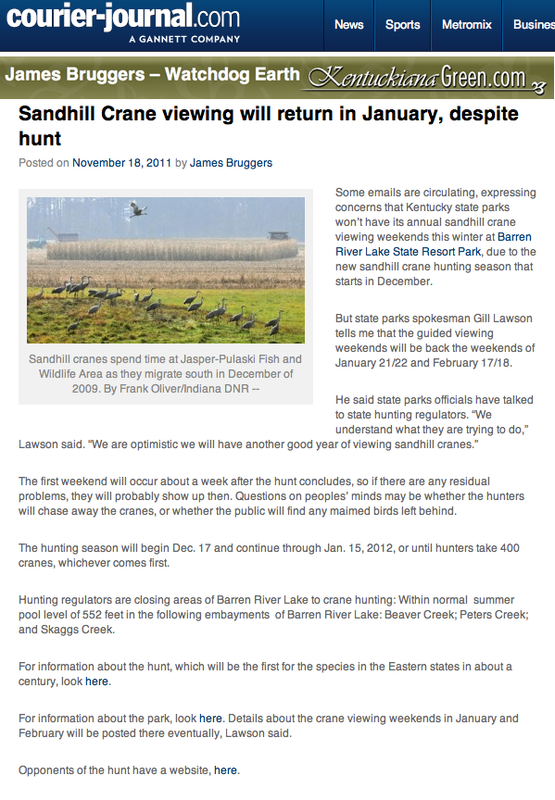 tourists to bring their binoculars and NOT THEIR GUNS.